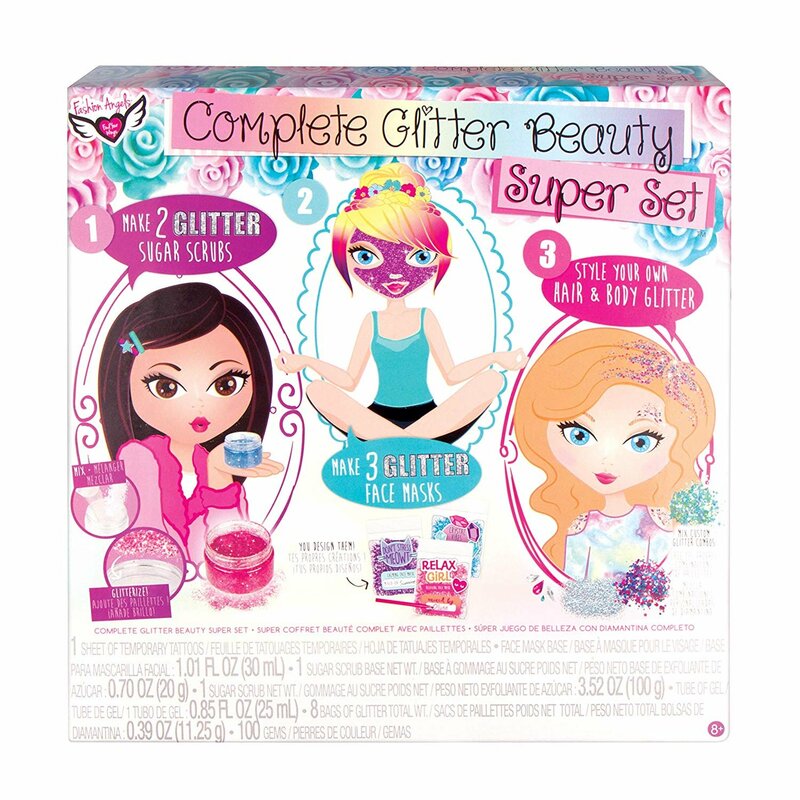 Complete Glitter Beauty Super Set! Makes two glitter sugar scrubs, three glitter face masks and style your own hair and body glitter. Kit includes: 8 bags of glitter, 1 tube of gel, 1 sheet of adhesive gems, 1 sheet of temporary tattoos, 1 pouch of strawberry scented sugar scrub base, 1 pouch of sugar scrub, two jars, 1 pouch of strawberry scented face mask base, 3 bags, 1 sticker sheet and instructions.